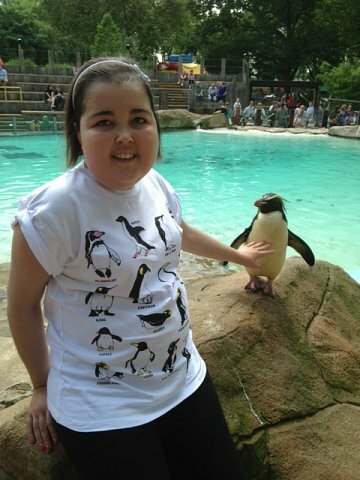 I just wanted to say a really big thank you for our fantastic trip to London zoo. We had a wonderful day and thoroughly enjoyed our penguin petting session. Charlotte got to stroke Ricky the Rickhopper (her adopted one) and also a gorgeous baby one called Puddle.